See live lava flowing into the ocean, snorkel in tide pools, swim in a volcanically heated pool, and view amazing lava formations in Puna! Turning off Hwy. 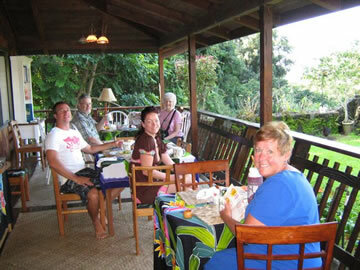 11 in Keaau onto Hwy 130 brings visitors into the heart of the Puna District. 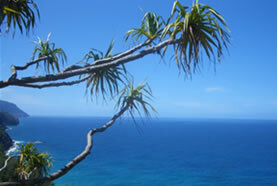 This area is tropical and lush with beautiful coastal areas and breathtaking views. Many farms growing tropical fruits and flowers including papaya, citrus, orchids, anthuriums, gingers, heliconias and birds of paradise add to the tropical ambience. 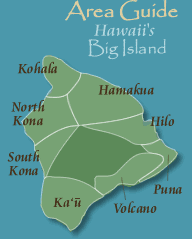 The town of Keaau right at the entrance of Puna was shaped by its sugar plantation history, and offers a small shopping center, several restaurants, a health food store and a local Farmersâ€™ Market. 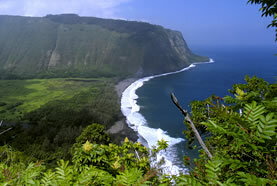 Center of the Puna District is the little town of Pahoa at mile marker 11 along Hwy. 130. Built between 1909 and 1919, it began as a mill town before sugar production became its main industry. Besides an alternative flair, Pahoa today offers several excellent restaurants, grocery stores, a natural food store, health clinics, doctorâ€™s offices, pharmacies, three banks, interesting arts & crafts shops, and an open market on Sunday mornings. Lava Viewing is possible at the end of Hwy. 130. It is currently the only point to access an active live lava flow and experience the glow and explosions as lava plunges down the mountain side and into the ocean water. 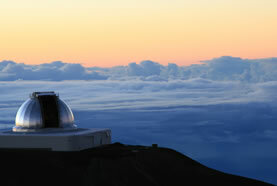 The viewing area is open between 5-8pm. From the parking area it is approximately Â½ mile to walk to the viewing area. Star of the Sea (Painted Church): This little Catholic church used to be in old Kalapana and was moved up the road on a truck in 1990 before the village was destroyed by lava. Steam Vents: During the 1960 period of intense seismic activities in the Puna area, steam vents and little craters were created on the ocean side of Hwy. 130 right around 15 mile marker. Makuu Farmersâ€™ Market on Sunday mornings about 3 miles outside of Pahoa along Hwy. 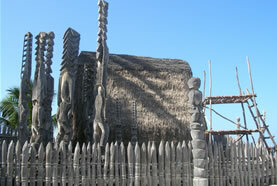 130 is a spectacle and a reflection of the diverse community of Puna. You can get anything from produce, arts and crafts, plants and flowers, open air massages, palm readings, great food, and swap meet bargains to live entertainment. This highway turns off of Hwy. 130 at the Pahoa traffic light intersection, next to the high school. The road takes visitors down through a tunnel of high Albizia trees with lush underbrush of guava, ginger and tree ferns. 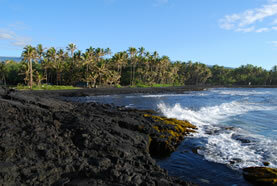 Lava Tree State Park offers amazing lava formations and tropical vegetation. Tree trunks have left imprints in the molten rock and created lava pillars. A 15-minute loop trail takes you through the park. At the intersection of Hwy. 132 and Hwy. 137 turn right. Hwy. 137 is one of the most beautiful coastal roads in the state, relatively untouched from development. 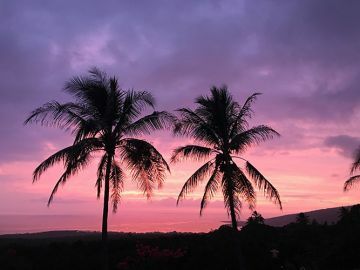 Lush tropical vegetation, lava flows, and incredible views of the ocean give visitors an idea of what old Hawaii was like. Kapoho Tide Pools off Hwy. 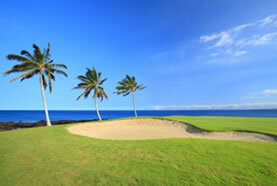 137 feature some of the best snorkeling on the Big Island. 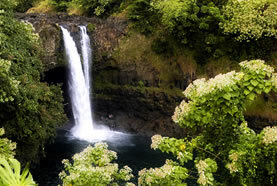 Ahalanui Park offers a volcanically heated spring and ocean-fed pool with water temperatures of up to 95 degrees. 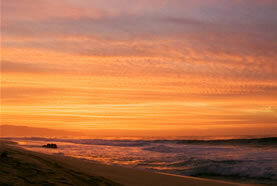 Isaac Hale Beach Park is one of the islandâ€™s best surf spots. It has several pavilions, nice walkways, picnic tables, and benches. The boat ramp is used by local fishermen and lava boat crews. MacKenzie Park is a beautiful place, up on a cliff overlooking the ocean with many ironwood trees providing shade and a great location for a picnic. 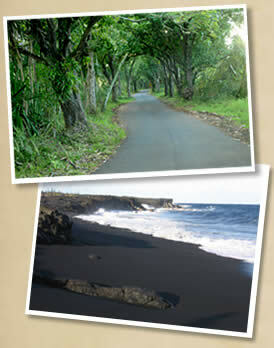 Kehena Black Sand Beach at the 19 mile marker is a secluded â€œclothing optionalâ€ black sand beach. The waves can be big at times and only experienced swimmers should go in then. The setting is amazing and especially beautiful in the mornings. Kalapana at the end of Hwy. 137 was covered by lava in 1990, when lava from the Puâ€™u Oâ€™o vent flowed down the mountain and took out many homes, sacred places, and a gorgeous black sand beach. As new land was created by the flow, a new black sand beach has started to form about a 20-minute walk from the end of the road parking area. The Kalapana Village CafÃ© on the other side of this cul-de-sac is a great little restaurant for a mid-day snack or dinner.